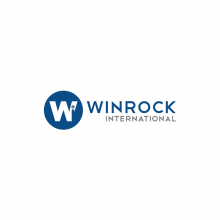 Winrock International is a recognized leader in U.S. and international development with a focus on social, agricultural and environmental issues. Inspired by its namesake Winthrop Rockefeller, Winrock combines scientific and technical expertise with entrepreneurial innovation to deliver market-based solutions that improve lives around the world. Winrock’s mission is to empower the disadvantaged, increase economic opportunity and sustain natural resources across the globe.